You’ve made a resolution to get active and exercise more. Congratulations! You’ve taken the first step towards a healthier lifestyle! 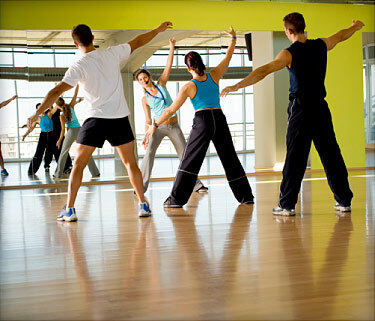 We often hear, when starting an exercise plan, that we should consult our physician before we begin a workout program. Most don’t take that advice when jumping on the treadmill or picking up the free weights for the first time, but are we putting ourselves in danger by not consulting with a medical professional before embarking on a fitness routine? You have asthma or lung disease. You’re being treated for cancer, or you have recently completed cancer treatment. You’re older than 35 years. You don’t normally exercise for at least 30 minutes, most days of the week. You have type 1 or type 2 diabetes, or you have impaired glucose tolerance (also called prediabetes). Lastly, if you’re unsure of your health status, have multiple health problems or are pregnant, speak with your doctor before starting a new exercise program. Working with your doctor or consulting your physical therapist ahead of time can help you plan the exercise program that’s right for you. And that’s a good first step on your path to physical fitness. Our therapists are always available to answer your questions about working out safely. Call us today at 203-879-0107.